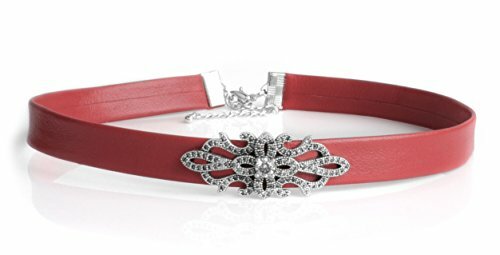 Necklace Choker Swarovski Genuine Leather Silver Find Your Size CéK NC3317 (15 Inches) by Cloisonnekorea at Smart Silver Stacker. Hurry! Limited time offer. Offer valid only while supplies last. Length : 10"~16". Select the required option. If you have any questions about this product by Cloisonnekorea, contact us by completing and submitting the form below. If you are looking for a specif part number, please include it with your message.